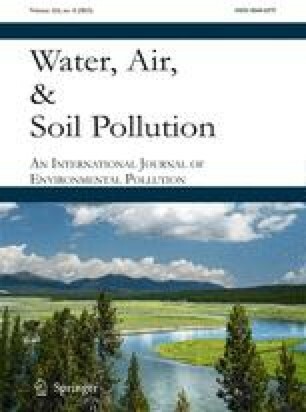 The influence of humic acid (HA) on the transport and transformation of mercury (Hg) in soil was studied. No available Hg could be detected (<2.5 μg kg−1) in alluvial soil when the content of HA-carbon (HA-C) was higher than 0.2 g kg−1 although a large amount of Hg (8 μg kg−1) was applied to the soil. The available Hg decreased with the increase of HA in purple soil (r=0.735). There are significant correlations between HA concentration and organic Hg in the tested soils (r=0.974 for the purple soil and r=0.979 for the alluvial soil). The increase of HA results in decrease of Hg absorbed by plant from the soil. A loss of Hg from soil caused by microbes was observed.